Most fentanyl overdose survivors, if given the antidote promptly, don’t need prolonged hospital treatment, according to a study by University of British Columbia physicians. That finding could help standardize how first-responders and emergency departments handle overdoses from the potent drug. Currently, hospitals may monitor fentanyl overdose patients for six to 12 hours or even admit them to beds out of a concern – described in a few medical articles – that revived patients might deteriorate and need more doses of the antidote naloxone. But such relapses rarely happened with the 1,009 fentanyl overdose patients who had been brought to St. Paul’s Hospital emergency room in the last four months of 2016. 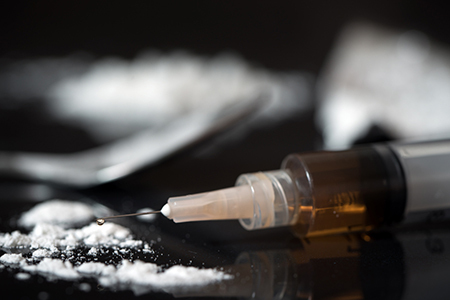 As the potent opioid fentanyl began felling drug users in Vancouver, especially in the Downtown Eastside neighborhood, UBC physicians at St. Paul’s developed the first-ever protocol for handling fentanyl overdose patients. Using that decision tree, 75 per cent of the fentanyl overdose patients were classified as “low-risk” upon arrival, based on being fully alert and having near-normal blood oxygen levels and breathing rates. Such patients were directed to chairs in the waiting room, and were safely discharged, on average, within two hours of arrival, with little chance of requiring additional naloxone. Patients who were less alert or had lower oxygen levels were placed onto stretchers, where their heart function and respiration were monitored. Patients also received visits from a social worker who asked them about their need for housing and detoxification programs. The results, as described in an article published last month in Annals of Emergency Medicine: None of the 1,009 patients developed a complication, and only one patient was admitted to hospital. Eighteen patients received naloxone at St. Paul’s, after having received a first dose in the field. The only death was a 35-year-old man who was deemed low-risk, declined the hospital’s offer of a take-home naloxone kit upon discharge, and was found dead within a day. Since the UBC study was conducted, Vancouver began deploying a Mobile Medical Unit in the Downtown Eastside to treat many overdose victims, so they could avoid a trip to St. Paul’s. But in most cities and towns, hospitals are still the only option.